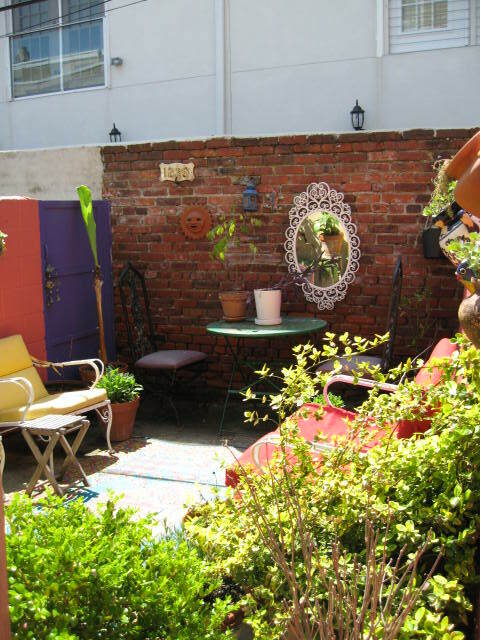 Once the weather starts to get nice I picture myself sneaking down early in the morning, making myself a cup of coffee and sitting outside in the backyard and enjoying a few moments to myself. This dream sometimes materializes but I am determined to make it happen more often. There are people who love being with and around other people all the time. I am not one of them. I feel more creative , inspired and happy when I manage to get some time alone. I like to be able to ponder the imponderables and just be. There is nothing more relaxing to me than sitting outside in our backyard and doing nothing! Well today was not that relaxing because I started to think about my backyard renovation. I don’t have any before pictures but the space back here was just awful. It was a tiny block of cement with pigeon droppings everwhere. 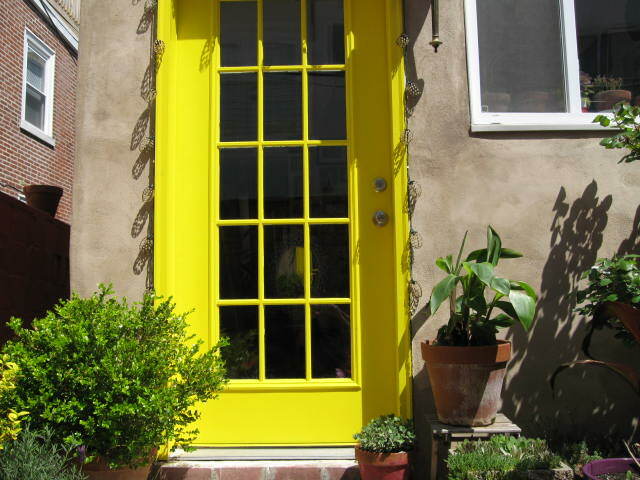 First on my backyard To-Do-List is to prime and paint the window, shown in the picture below, yellow. 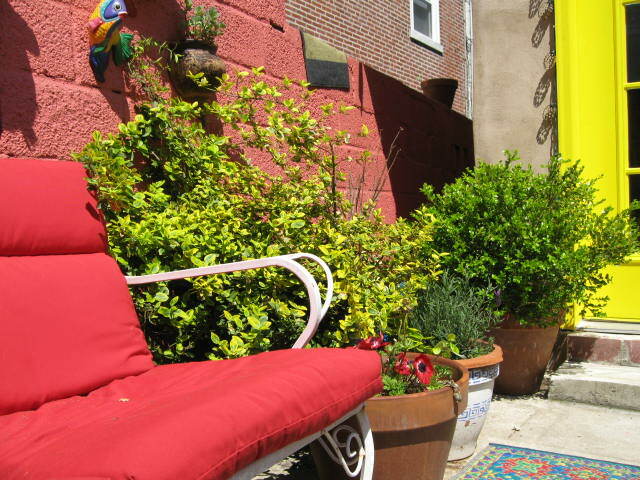 Then I would like to figure out if I can plant a tree where this greenish yellow bush is (picture below) so that we can get some privacy from the house right next door. Third I would like Scott to build me a planter all the way at the end of this long narrow pathway (see below). The dining room windows look into this space and I would like to be able to see some green when looking out of the dining room. 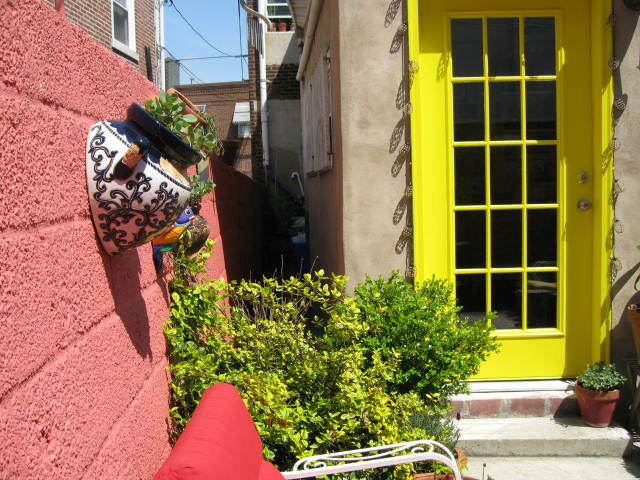 By the way I love my yellow door. We painted it with Fine Paints of Europe, Semi Gloss, in yellow. 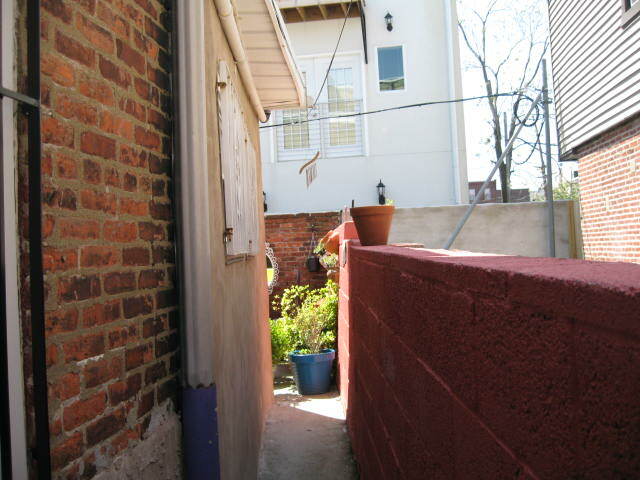 This is a close up shot of the alleyway. I would like to plant a very narrow row of bamboos to the left of this picture so that no one can look into our dining room from the top floor of the house next door. 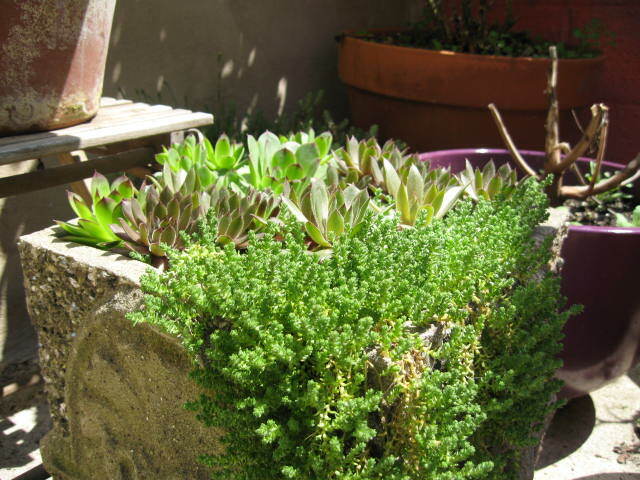 This is a picture of my sedum. They come back faithfully each year in early Spring. 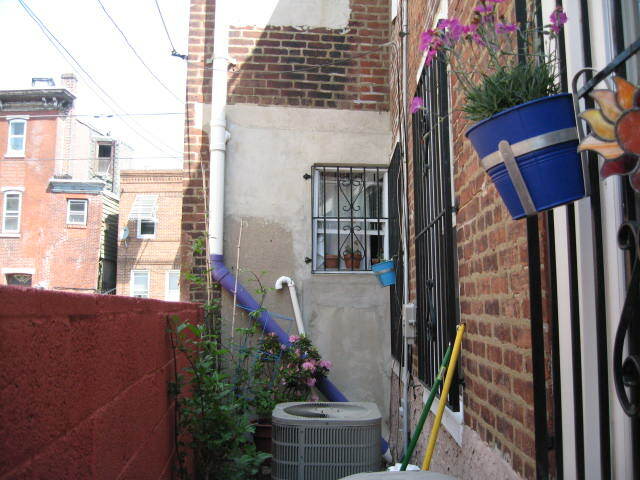 I want to plant a June Magnolia, to the right of this picture. We really need some privacy from the house which is right behind us. There is a shared alleyway to the left of this picture which is now defunct. 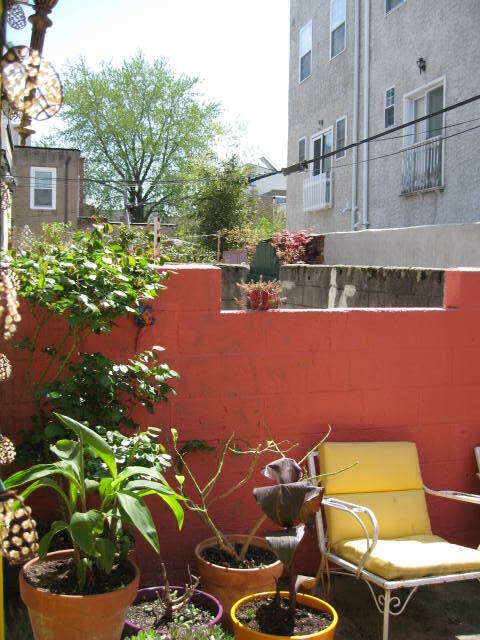 Once I get someone to break up an area of the cement back there I plan on planting a Japaneese maple in the alleyway to shield the backyard from the house to the left of this picture. Finally I would like to plant a very narrow row of bamboo next to this wall. I have chosen the bamboo, June Magnolia and Japanese Maple because they all how relatively light root systems and therefore are ideal trees for city environments. Now that all my planning is done I feel like I’ve accomplished so much and it is only 6:35 in the morning!